At EffOne, we are providing complete SharePoint solution & custom SharePoint development assistance for our clients who are spread worldwide. Our SharePoint services include assistance through the application of SharePoint as well as post execution support surrounding passage and training. Our team with their SharePoint expert's best practices enhances your creativity portal needs .Our SharePoint Professionals has strong expertise of SharePoint catalog, SharePoint Object Model and SharePoint Web Services. Our SharePoint team is also well experienced with MOSS 2007 SDK which helps our team to design and appliance custom applications using SharePoint as the basic advance background. Our Prompt and responsive Sharepoint development team make sure that they understand, analyze, develop and meet the client's requirements. At EffOne, we increase client satisfaction, employee productivity and improve vendor interactions with best-in-class collaboration solutions using Microsoft SharePoint. We develop and deliver a custom SharePoint portal/web part that improves your organization's performance and maximizes your return on SharePoint development investment. We streamline your daily business activities and in the process gain a better insight and perspective into their business data. 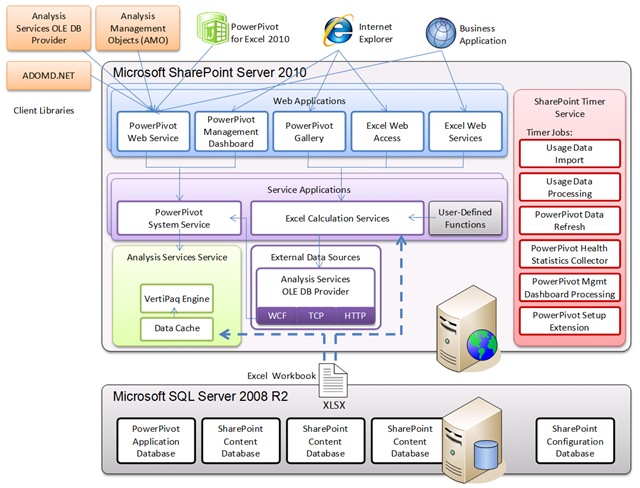 At EffOne Microsoft SharePoint Portal Server caters to build and maintain a web based centralized storage for all their data and information which can easily be accessed by employees of a company. Employee can share information and cooperate to with each other using Microsoft Share Point, thus increasing productivity and efficiency.